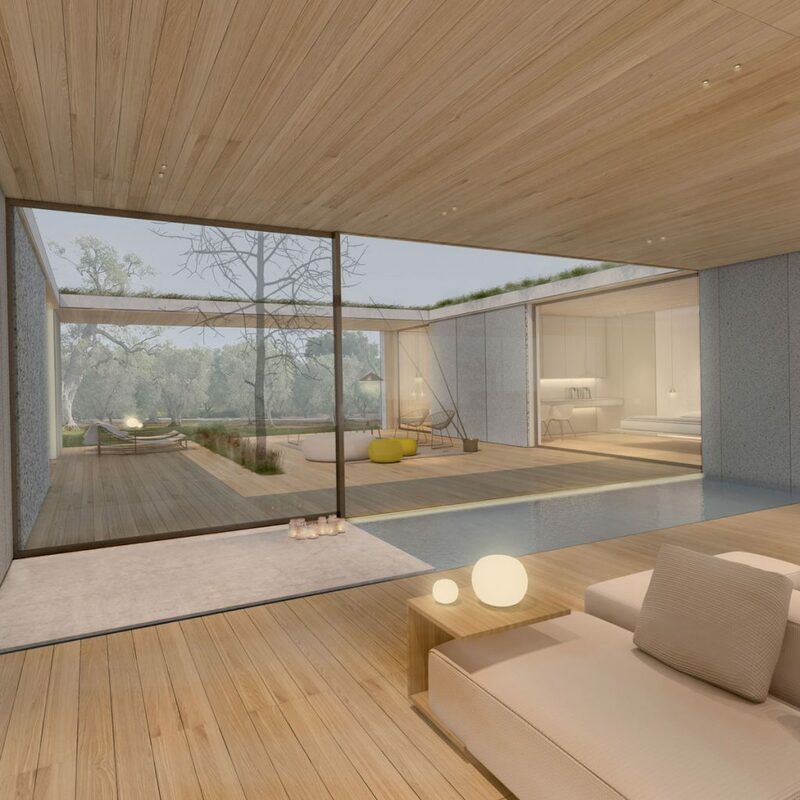 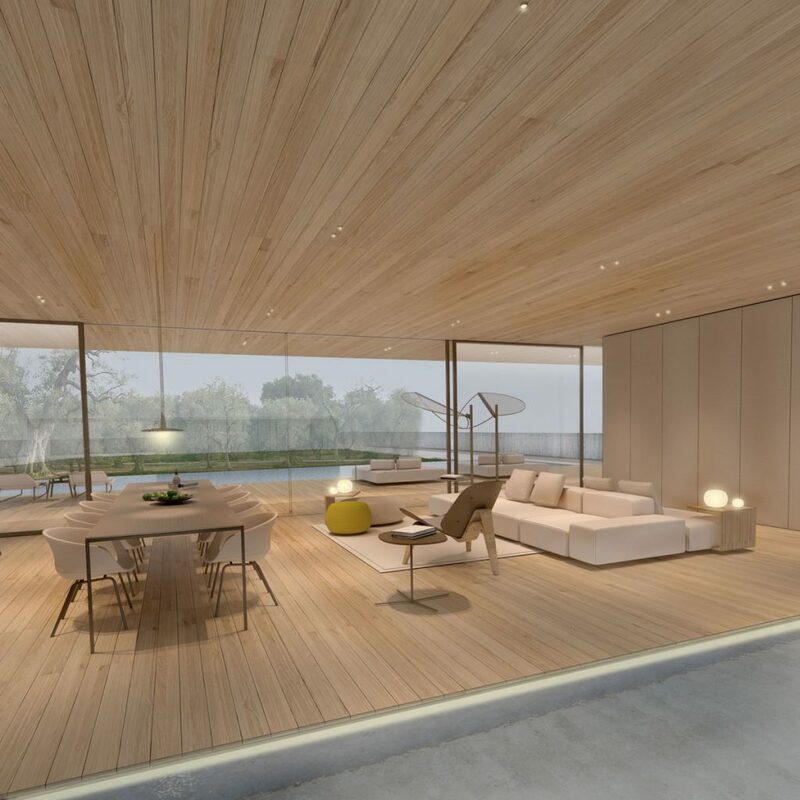 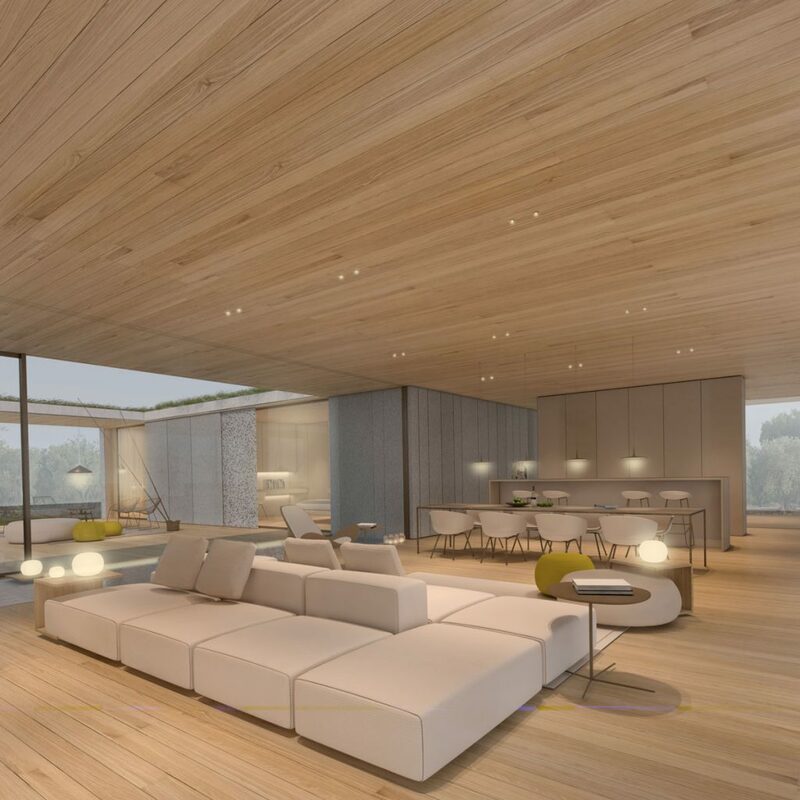 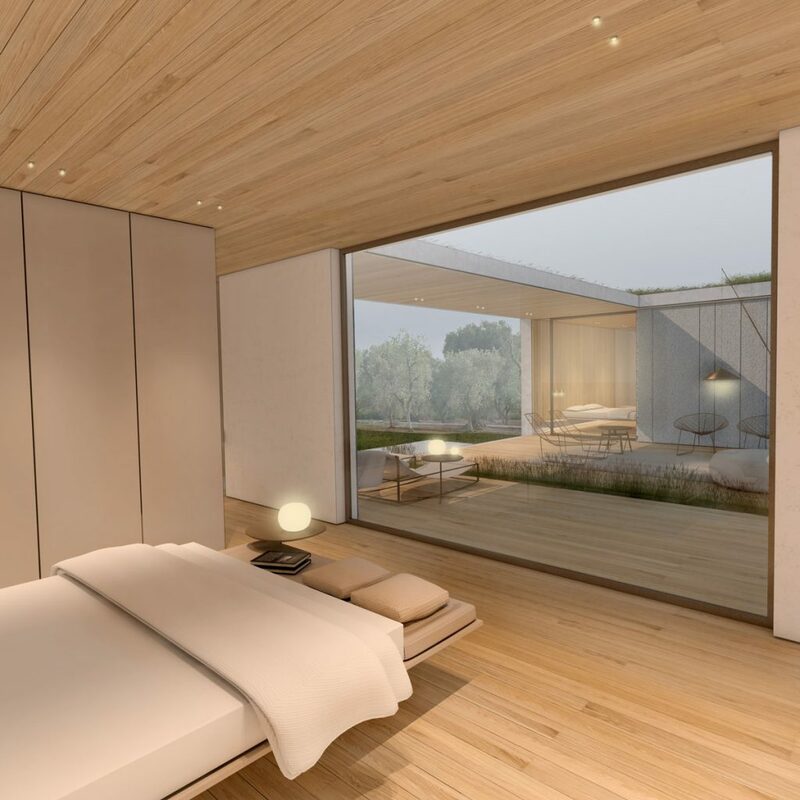 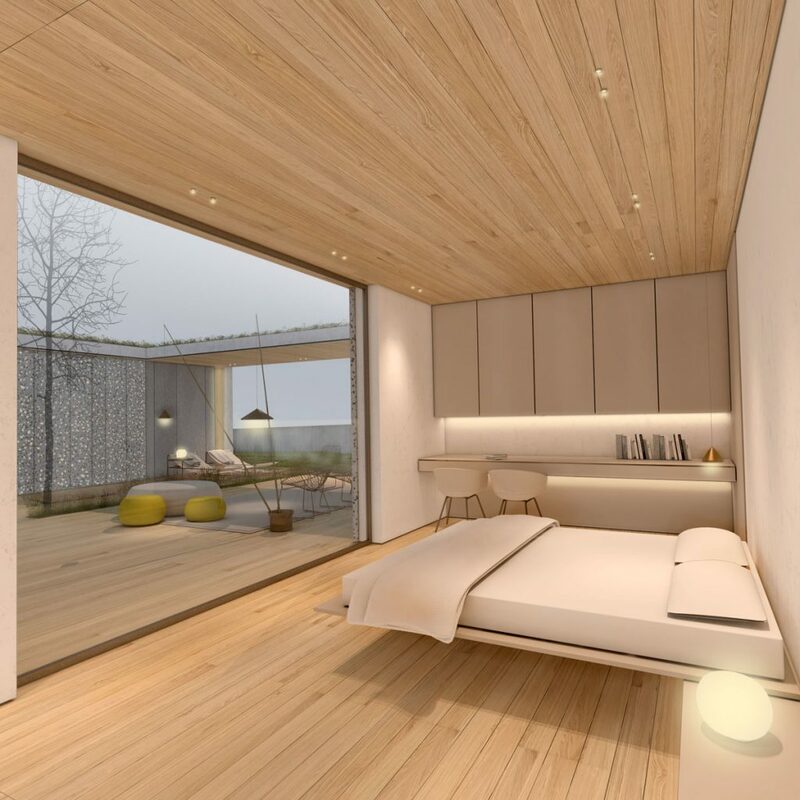 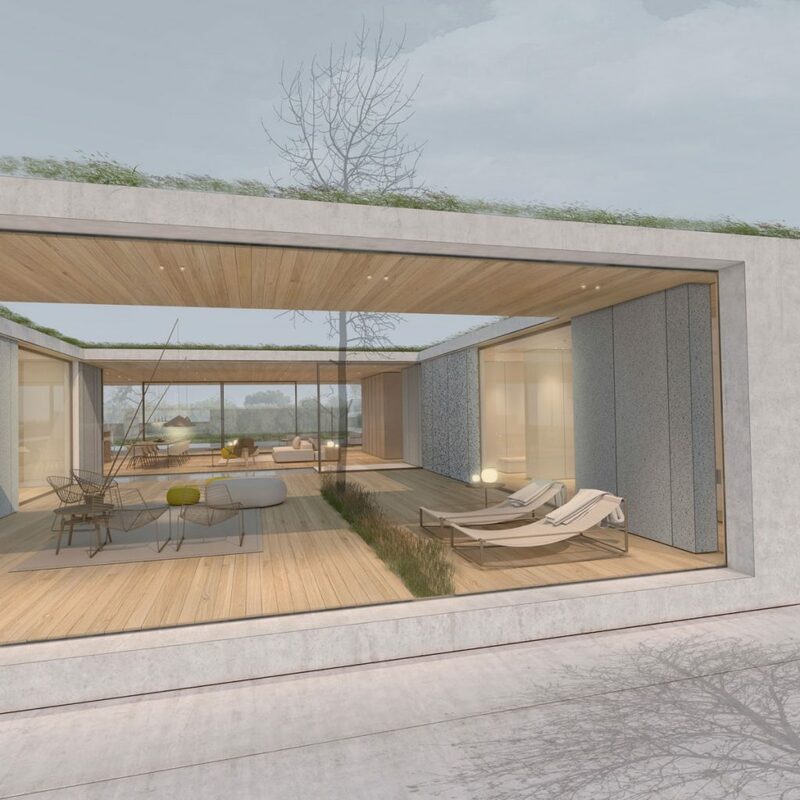 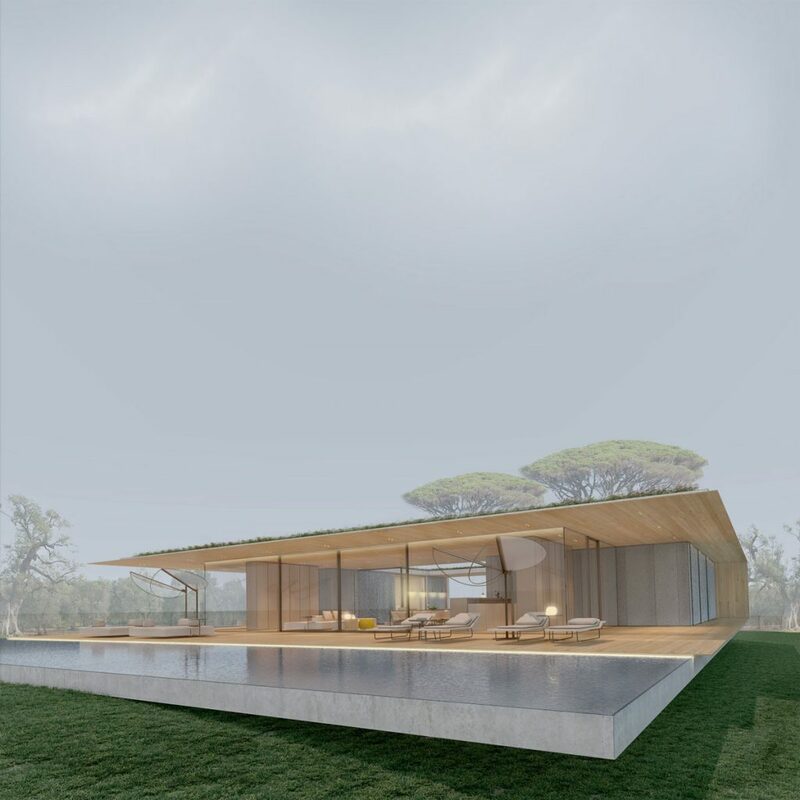 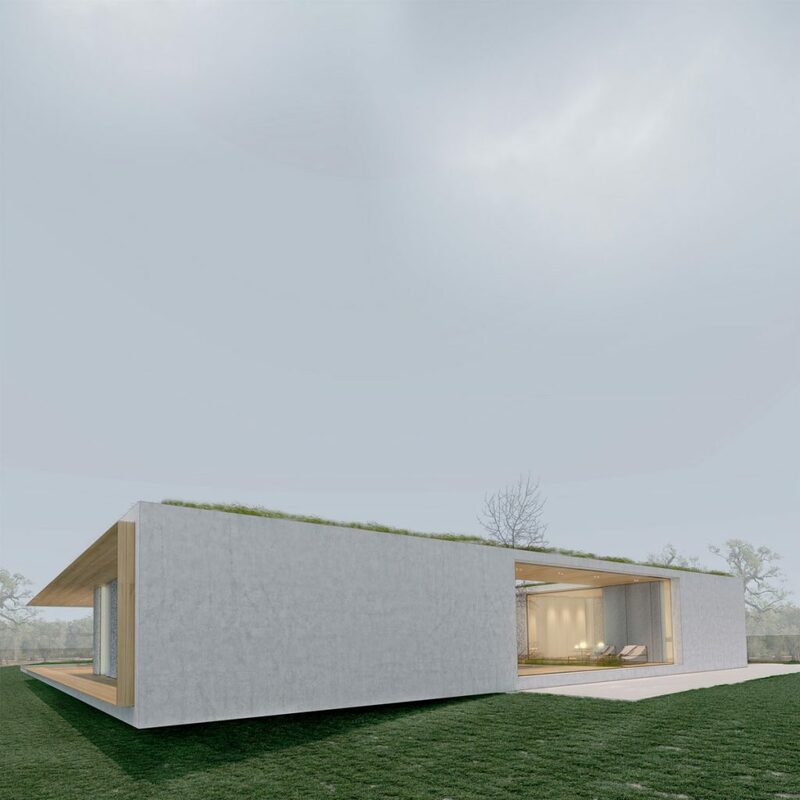 Residential villa that will be built in Valverde, a village in the province of Catania, a predominantly residential area and relatively preserved by the building speculation of the ’70s and’ 80s. 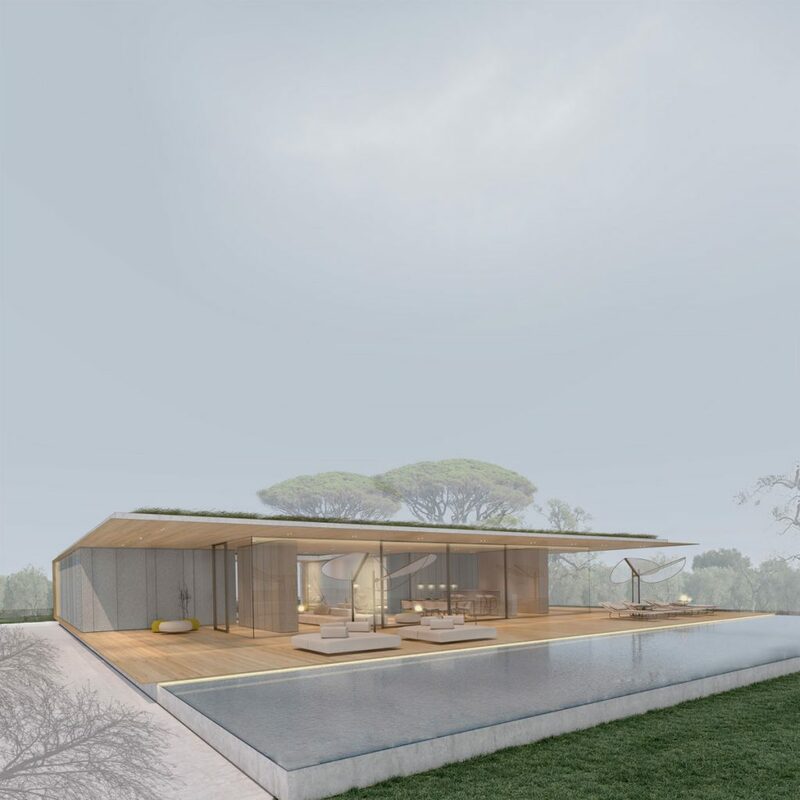 The project lot is a vast peripheral agricultural area, rich in fruit trees, an ideal area for the construction of a villa surrounded by greenery. 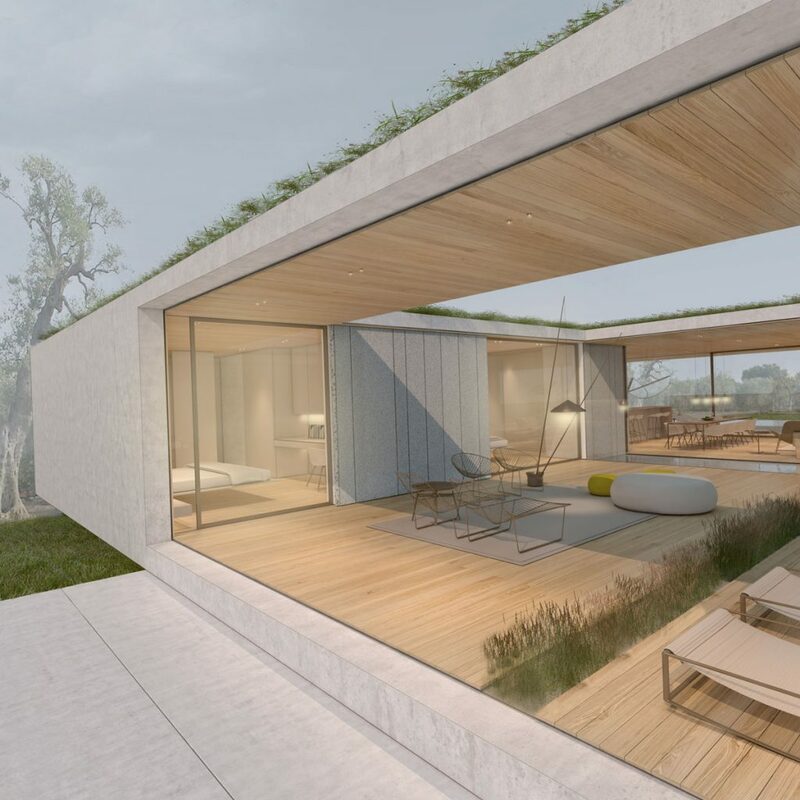 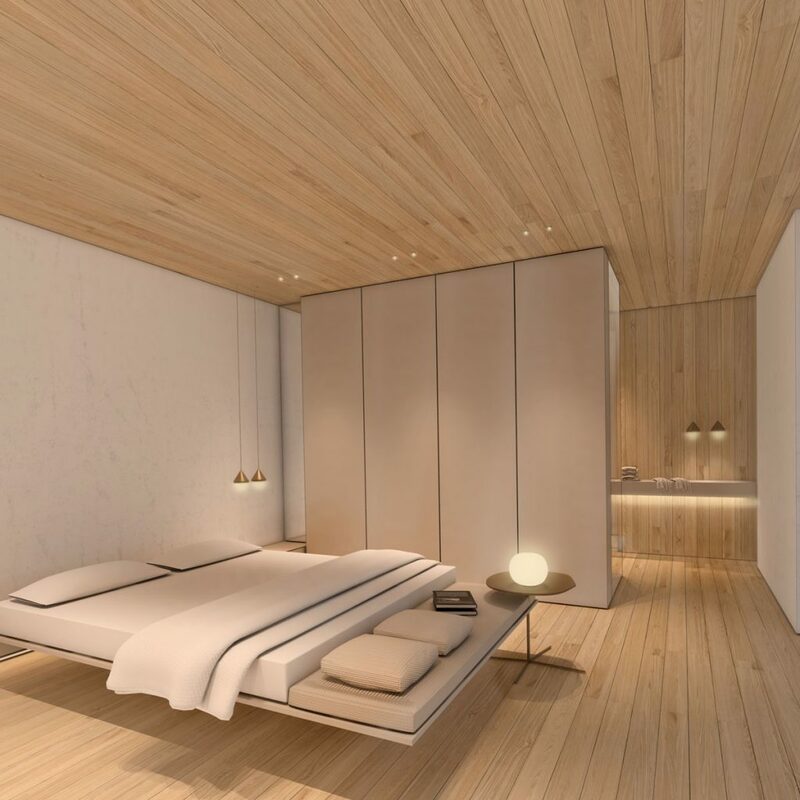 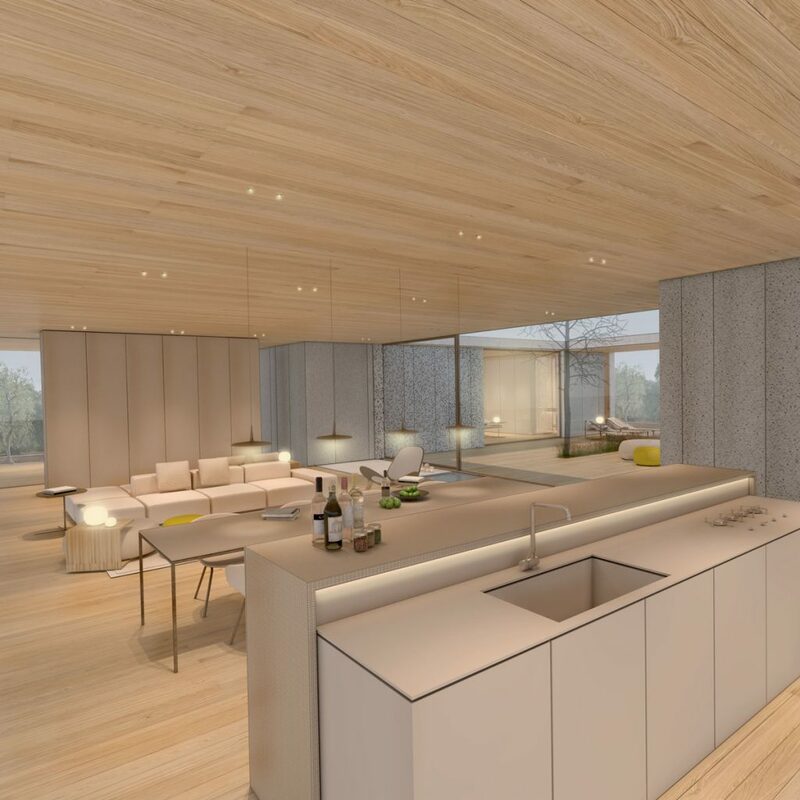 The project has given life to a patio house that embraces the outdoor park inside, to be able to live the green from every part of the house, and be able to do it in a more intimate way, creating an indissoluble relationship between the parties. 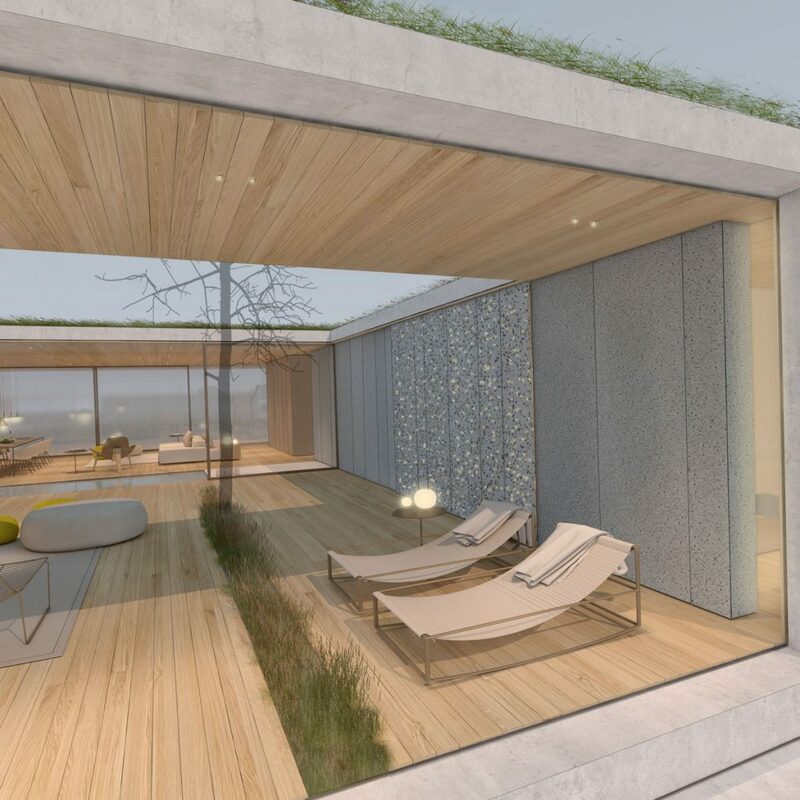 A fully glazed living area, the sleeping areas treated with sliding panels covered in lava stone. 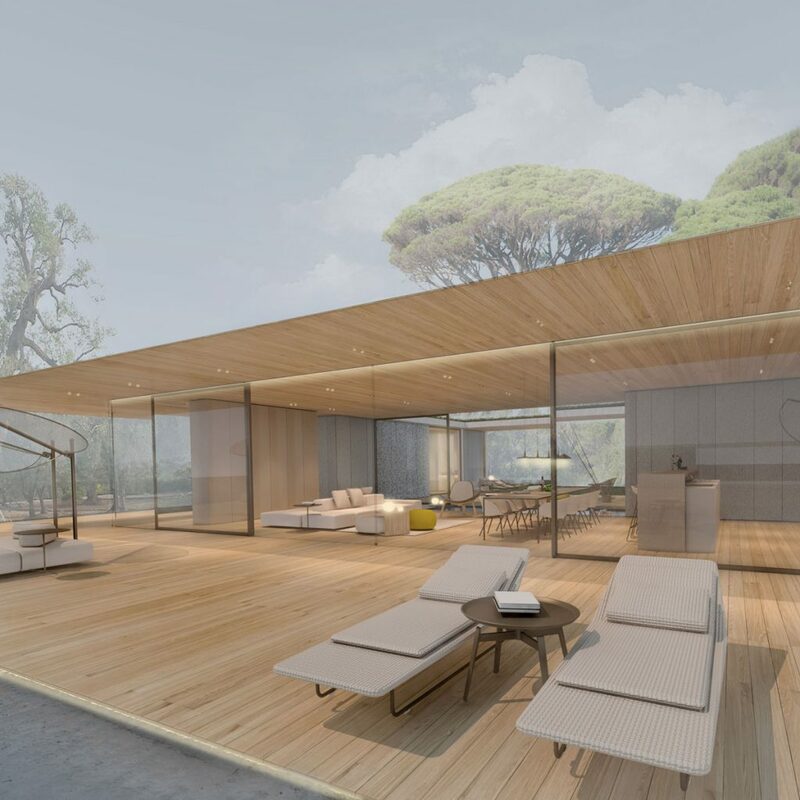 An outdoor pool to be shared, a smaller indoor one to be enjoyed with the family.